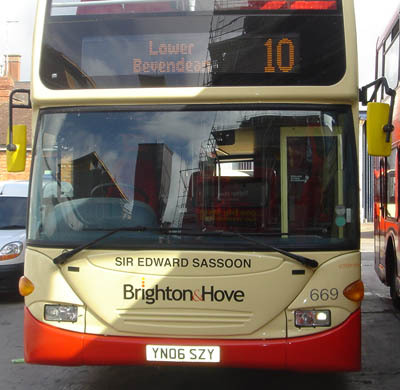 Connections with Brighton and Hove : The Sassoon family was influential in Brighton and Hove at the end of the 19th century and into the Edwardian era. It was one of the main reasons why King Edward VII paid visits to both towns during his reign which were much welcomed. The Sassoons were known as the Rothschilds of India and made a fortune there, although they generally lived in some style both in London and on the Sussex coast. 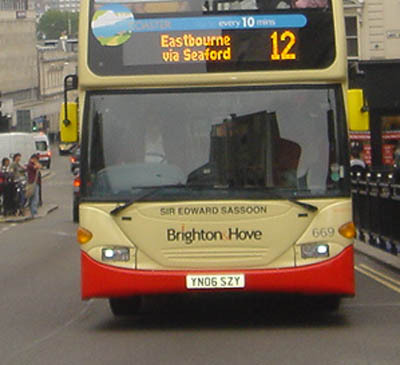 Sir Edward Sassoon was a notable member of the family and lived at Eastern Terrace, Kemp Town. When he died in 1912, he left what was then the huge sum of just over a million pounds. 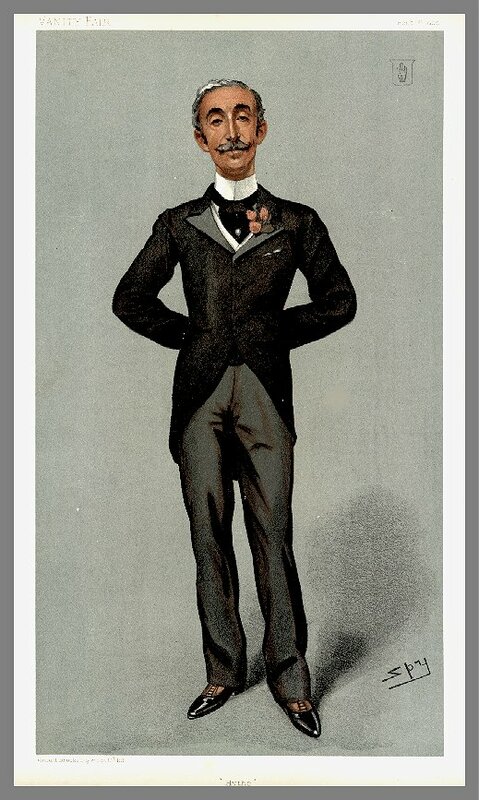 Among his many gifts were those of five statues from his London mansion at Park Lane. 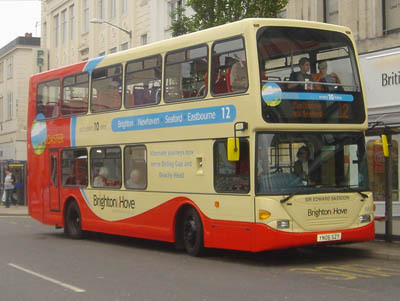 Representing virtues such as Truth and Fidelity, they were given to Brighton Corporation and placed in Victoria Gardens. After his death, his body was placed in a mausoleum designed in eastern style behind his house. It was later converted into the Hanbury Arms public house. 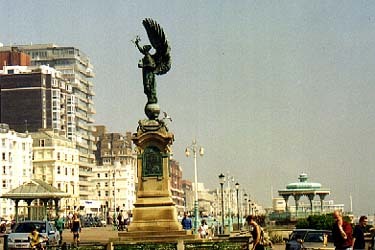 The Sassoons also contributed towards the Peace Statue on the seafront and helped to buy land for St Ann’s Well Gardens. 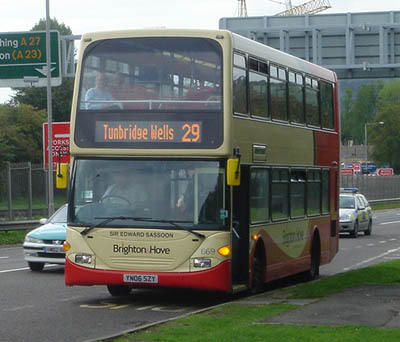 669 Scania Omnidekka - carried name since delivery in May 2006, Coaster vinyls removed September 2006.